ISLAMABAD, Aug 10 (APP): The parliamentarians belonging to district Hazara, Khyber Pakhtunkhwa Wednesday decided to meet the heads of national political parties of the country for evolving consensus on creating a new Hazara province. This was decided in a meeting of the parliamentarians hailing from Hazara. 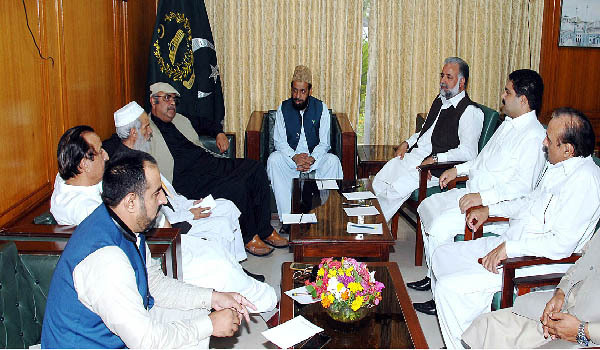 The meeting was chaired by Minister for Religious Affairs and Interfaith Harmony Sardar Muhmmad Yousaf. The host of the meeting was Deputy Speaker National Assembly Murtaza Javed Abbasi, said a press release issued by Ministry of Religious Affairs. The meeting was attended by Pakistan Tehreek-e-Insaf MNA Dr Azhar Jadoon, JUI-F Qari Muhammad Yousaf, PML-N Baber Nawaz, former MNA Sardar Fida Muhammad Khan and coordinator Hafiz Sajjad Qamar. province and their sacrifices would not be allowed to be wasted. Sardar Yousaf demanded the establishment of a commission for creating new provinces. Hazara Parliamentarians and people are convinced for creating the Hazara Province. creating the province was need of the hour.